Happy New Year Urban Cookery readers! Like most people, I am entering the New Year with some resolutions…I have a few personal ones like trying to be less OCD (no one hold your breath) and a few professional ones like blogging more! I admit, in 2017 I was pretty lazy with the blog posts, but being a full time stay at home mom really doesn’t lend itself to much free time…but I am done making excuses and ready to get back to the blog world… and with that, I am kicking off 2018 with a KILLER recipe. 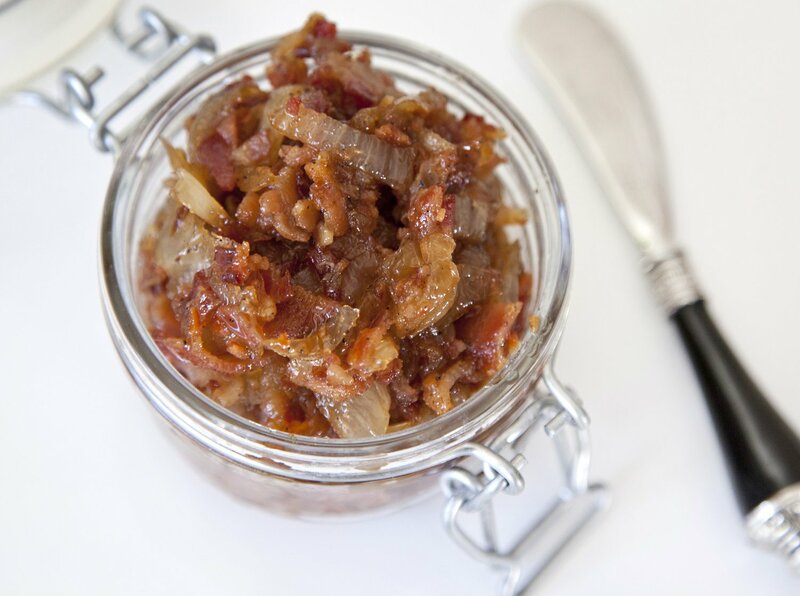 Bacon, in my opinion, is one of the major food groups one should be eating every single day. I know the New Year for some is a time to start a new diet regiment, but I am from the school of the anti-diet. I would rather enjoy everything I eat and just go to the gym for that much longer to work off the pound of bacon I intend to eat that night….but hey, everyone’s different and I hold no judgment against those who diet, in fact I admire their willpower. 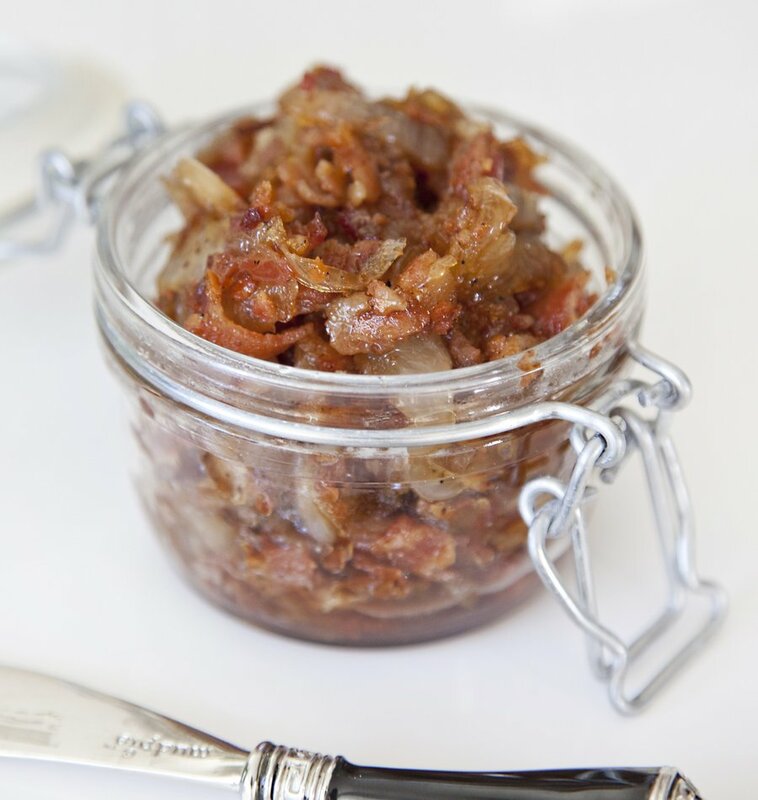 I made this bacon jam this past Christmas Eve to accompany a pretty awesome meat and cheese board that I built as an appetizer for my guests. 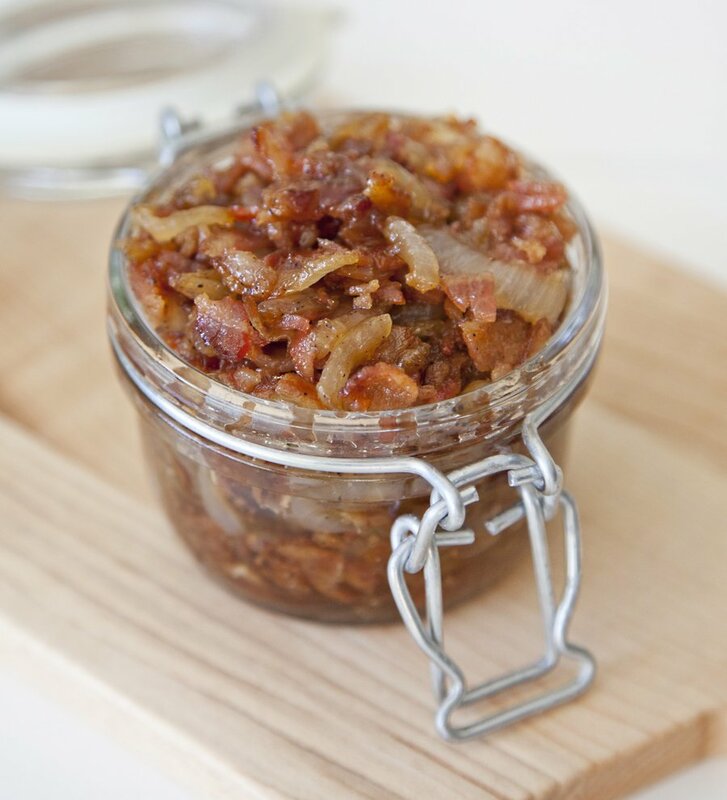 After Christmas, we had some bacon jam leftover and I started experimenting with it on various sandwiches, breakfast items, and more (recipes using bacon jam will be coming to the blog shortly!) 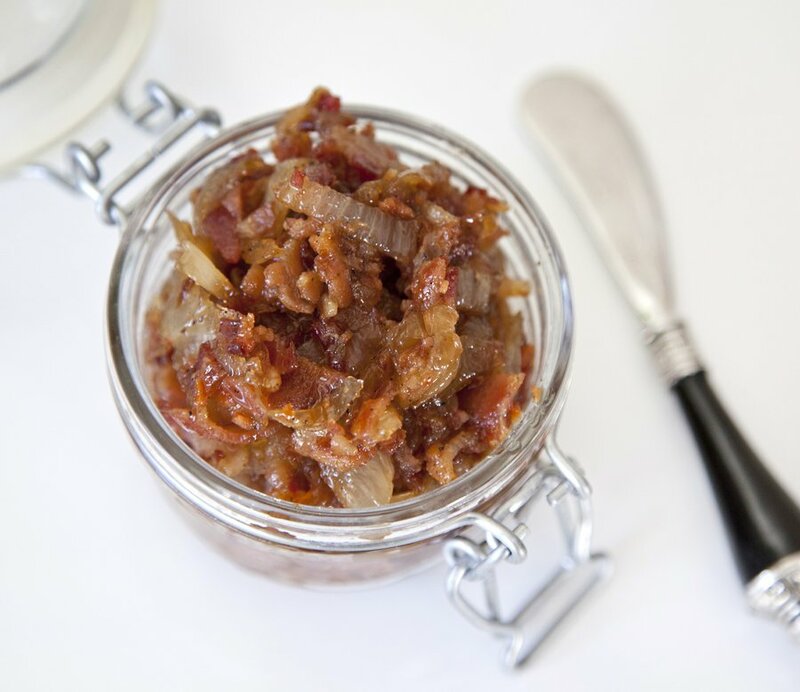 and the overall consensus of the Bacon Jam was that it was a winner winner chicken dinner…it combines all the important flavor combo of sweet and salty (is there anything better?) and it’s realllllly easy to make! 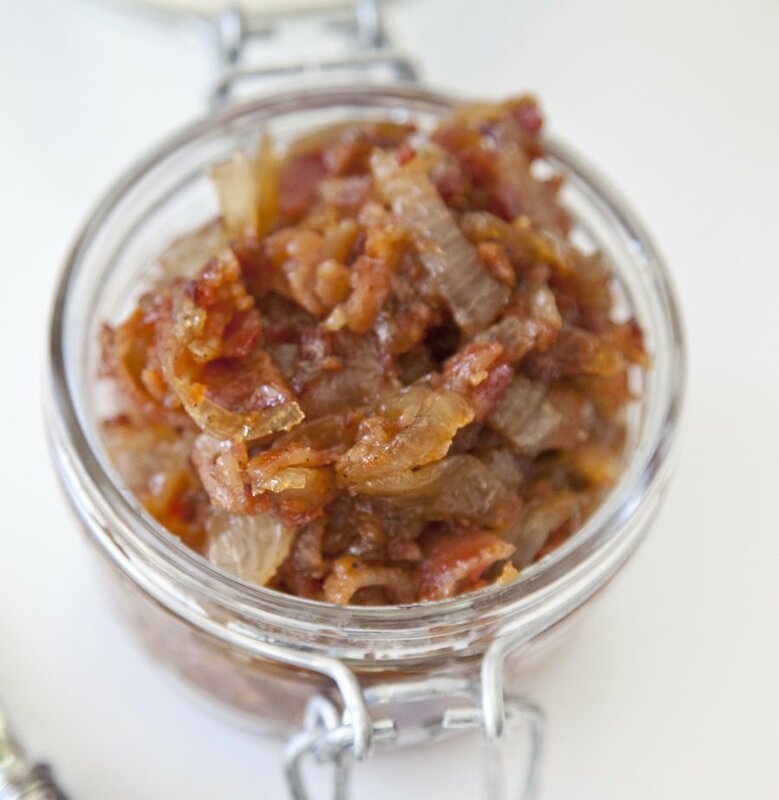 It pairs great with cheese (a triple cream brie, goat (Bucheron), and an aged cheddar were my 3 favorites that it worked with), and it works well with cured meats as well! 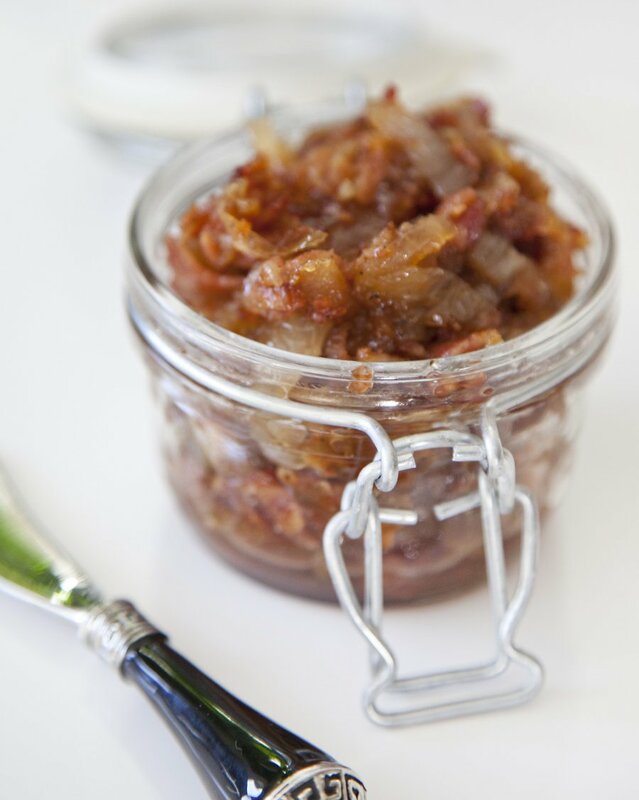 **You have the option to leave the Bacon Jam the consistency that I did, or you can put it in a food processor to make it more of a puree -- totally up to your tastes and preferences!